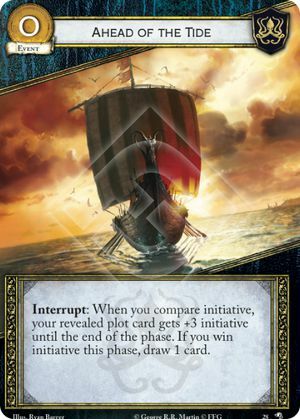 Interrupt: When you compare initiative, your revealed plot card gets +3 initiative until the end of the phase. If you win initiative this phase, draw 1 card. Wolves of the North #28.